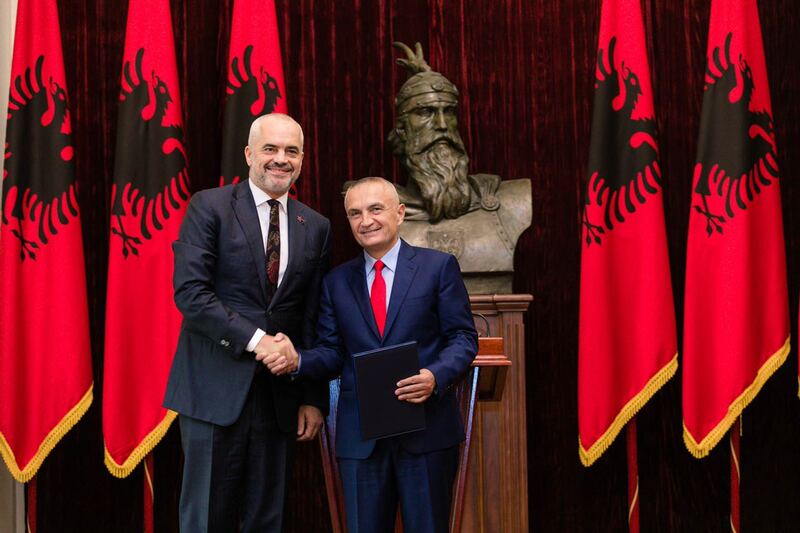 Today President Ilir Meta approved the nomination of Prime Minister Edi Rama as Minister for Europe and Foreign Affairs. In a press release by the President’s office stated that the Constitution did neither foresee nor prohibit a prime minister’s self-nomination as minister. President’s decision came after “an extended interpretation” of the Constitution, and a careful consideration of “the importance to avoid any possibility that could create an institutional crisis”. In a separate decree, today President Meta also approved the dismissal of former minister Ditmir Bushati. However, according to President Meta the duties of prime minister and ministers are “within the same executive realm”, hence Rama’s self-nomination did not interfere with the Constitution.